Feedback Deficiency | WAYO 104.3FM Rochester, NY | Way out, right here. "I'm constantly introduced to music I've never heard before," says Feedback Deficiency host Saby Reyes-Kulkarni, who going on 14 years now has covered a variety of genres for outlets like Pitchfork, Paste, MTV Iggy, Diffuser, Spin, Noisey, Alarm, Ultimate Classic Rock, Nashville Scene and several outlets throughout the New Times/Village Voice chain. Prior to that, Saby worked as a recording engineer and as in-house sound tech at nationally venerated Rochester club The Bug Jar, which exposed him to band after band touring the indie/underground circuit in the late '90s. "I can't possibly write about everything I get exposed to, so doing this show gives me a chance to share more music a wider audience. The challenge is to take all the disparate stuff I like and present it in a way where it doesn't sound jumbled together. The show's eclectic, but I'm really trying to stress continuity and flow. If I just took everything I like and threw it together I think people would get whiplash. But I really like creating a coherent mood out of parts that wouldn't necessarily fit together. I also love presenting lesser-known stuff by household names right alongside artists who are recognized on a smaller scale -- and finding common threads." "Back in the cd era when home-recording software got really popular, I got into making mix cds and I got obsessed with song transitions. I've never really stopped making these really fine-tuned mixes where I labor over the song order probably past the point that's healthy! But crossfades, manual fades, segues, the way one song makes an entrance while another exits... to me there's infinite beauty in that, and I really strive to get that across with this show." Features new music from Leila Gobi, Philip Selway, Christopher Willits, Ben L'Oncle Soul, Trent Reznor & Atticus Ross, along with the usual deep cuts. Closing out the year with a bang, Feedback Deficiency's final show of 2016 features new music from Run The Jewels, Nine Inch Nails, Nothankyou, and much, much more. 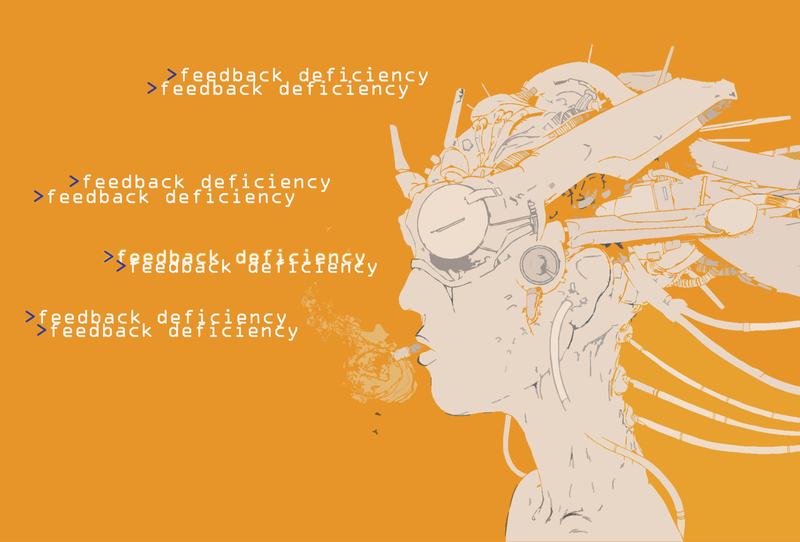 Please follow Feedback Deficiency on Twitter http://www.twitter.com/feedbackdef and Facebook http://www.facebook.com/feedbackdef. Feedback Deficiency remembers Scott Weiland and Motorhead's Lemmy + Phil Taylor, all of whom passed away in 2015. Hosted by longtime music journalist Saby Reyes-Kulkarni, this episode also features music by Suzanne Vega, Massive Attack, The Smithereens, Datarock, The Wondermints, Get The Blessing, Seven Storey, and not one but two Wilco offshoot acts. Another variety-filled hour of music handpicked by music journalist Saby Reyes-Kulkarni. Expect to venture off the beaten path in a landscape painting of sound with the usual peaks, valleys, twists and turns galore as changing scenery rolls by out the window. This episode spans cutting-edge indie rock, classic '90s alt-rock, post-golden age hip hop, vintage shoegaze, and more. Feedback Def kicks off the new year in style with the usual jam-packed hour of music featuring an eclectic but seamless mix of indie/alternative/underground rock, electronic, hip hop and more lovingly curated by longtime music journalist Saby Reyes-Kulkarni. Feedback Deficiency celebrates Christmas with a suite of lo-fi solo piano music from the late Jason Crane. As you'll hear me explain in my commentary, this music strikes a very deep chord with me. In all its raw, naked simplicity, it's some of the most beautiful and affecting holiday music I've ever come across.